Never Been to a Workers’ Compensation Hearing? Many of my clients who have never been to a Workers’ Compensation hearing want to know what to expect. My office handles hearings in the Menands, Glens Falls, and Hudson, NY hearing points. These hearing points service the NYS Capital District Region and beyond. The Glens Falls and Hudson, NY hearing points have only one hearing room. The Menands, NY hearing point has four hearing rooms called “Parts”. The notice of hearing that you receive in the mail will list which location and part your case will be heard in. At all of the hearing points where we practice, there is a sign in procedure. After entering the building, a Board employee will ask for your name and check you in. They will log in your appearance on the computer system so that the Judge knows when all parties are present so that the case can be called. There is a waiting room where all claimant and witnesses can sit before a case is called. Unfortunately, cases are rarely called on time and it is not uncommon to sit for an hour or longer before your case is called. Once your case is called, you will enter the hearing room. Upon entering the hearing room the injured worker and his/her attorney will sit on the left side of the table. The carrier’s representative and stenographer will sit on the right side of the table. 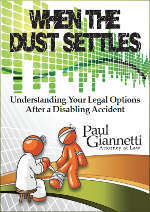 The Workers’ Compensation Law Judge sits at the front of the table. The Law Judges at the NYS Workers’ Compensation Board do not wear robes as they do in Supreme Court. The stenographer is present to take down the minutes of all relevant testimony. The Law Judge directs the course of the hearing and will usually question the attorneys regarding the issues to be decided. The attorneys make motions and arguments depending on the specific issues. At certain hearings, testimony is taken from the claimant or lay witnesses. 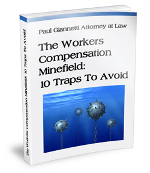 Often times, there can be several Workers’ Compensation hearings during the life of the claim. In other circumstances, there may be only one or two hearings. Having attended thousands of hearings, I can attest to the fact that the terminology used is highly technical. After the hearing, most claimants have no idea exactly what just happened. We believe it is important to fully explain to our clients, in laymen’s terms, what transpired, and what steps will be taken next. If you have been to a Workers’ Compensation hearing without an attorney, you probably know exactly what I am talking about.